Home > Magazine > Editorial > Stop Being Indian-American! We should not be publishing this magazine. You should not be reading it. Close down all the Indian grocery stores and restaurants in the United States. Stop watching those mushy, melodramatic Bollywood movies on American soil. Disband all those cultural institutions with those endless acronyms … IACA, TAMA, NATA, BAGA, GAMA, … . The fact that Jindal tries his level best to amputate his Indian identity in service of his naked political ambition is old news to those who have followed him. And yet, the above comments are asinine even by his standards. It is one thing to say immigrants must do more to assimilate. I am right there with Jindal up to this extent of the thought. Many Indians come to America only to cocoon themselves in their native environment. Geographically they may have moved here, but practically and psychically they exist in a self-created mini-India. That’ a loss for both, the immigrants and the host country. 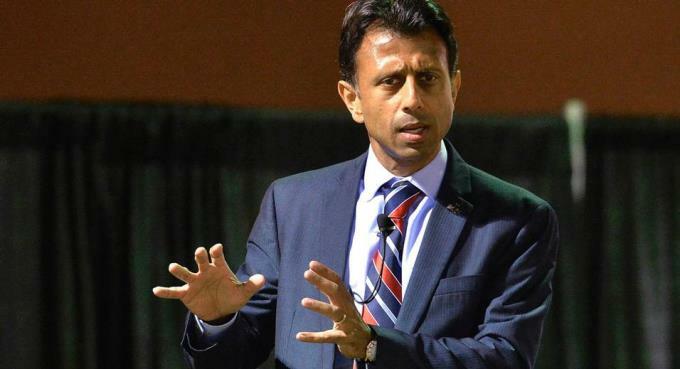 But then for Jindal to suggest that one must also go on to disown their native roots, heritage, and culture is a slap on the face for both Indian and American sensibilities. What exactly is Jindal asking us to do or not do when he advocates dropping the “Indian” part of our hyphenated lives? Is there, according to him, a certain code by which one is considered a “true,” unhyphenated American? What disqualifies me from being that fabled American? Is it my skin color? My religion? What behaviors and practices are approved to be certified as a true American? Does affiliation with a Hindu temple or with a Mosque disqualify me? Can I attend a Festival of India? Or one of those loud Indian weddings? Jindal offers, “I am not suggesting for one second that people should be shy or embarrassed about their ethnic heritage." Make up your mind, sir. You are saying don’t be shy of your heritage, but you are also saying wipe it out entirely—don’t be hyphenated. “But I am explicitly saying that it is completely reasonable for nations to discriminate between allowing people into their country who want to embrace their culture, or allowing people into their country who want to destroy their culture, or establish a separate culture within,” offers Jindal further into the same prepared statement. So which American culture does he want everyone to embrace? Do African Americans subscribe to the same “American” culture as Jewish Americans? Who gets to define who is an American? Which culture produces the “ideal” American? Isn’t a Charlie Manson or a Timothy McVeigh far less American than an M. Night Shyamalan or a Kalpana Chawla? Jindal may argue, if the original European settlers could melt into the American melting pot, why can’t newer immigrants? But history tells us there wasn’t exactly a beeline to the melting pot. Initially, there were enclaves of English, Spanish, Portuguese, Irish, and other settlers. There were attempts to preserve their native cultures. And it is conceivable that they would have succeeded if the technology of the times allowed 24/7 engagement with the cultures they left behind, as is the case today. The Governor’s disgraceful comments are equally offensive to American sensibilities. If he can hear himself over his blind need to pander to the far right, he might see how much he sounds like the Taliban when he says people should fall in step with a singular culture of the land. The very notion that countries should band around such a monolithic culture seems like a concept that belongs to the Middle Ages. How quintessentially un-American is such a notion! Isn’t the very crux of being American that you are free to practice whichever cuisine, culture, and religion that you wish—so far as it is ethical and moral? Granted, good citizenship also requires assimilation so that one has a stake in and contribution to the commons. But as stressed earlier, there is a vast difference between encouraging assimilation and asking immigrants to wipe out their customs and heritage. It’s not as if I will somehow not be able to enjoy and appreciate a good episode of House of Cards on television if I am doing it over chai and samosa instead of coke and popcorn. Or that being Hindu will prevent me from pledging allegiance to the country I chose to live in not only for the rest of my life in but that, in all likelihood, will be the motherland of my descendants. If Jindal does not believe in hyphenated Americans, is he now going to campaign against Cinco de Mayo celebrations? Saint Patrick Day Parades? Kwanzaa? Passover?! Ultimately, this is not just about righteousness, but also about deciding which is a more desirable society: one that is bland, insular, parochial, and monolithic (such as North Korea, for example), or one that is dynamic, diverse, colorful and inviting (such as…well, the United States of America! )?